Mrs. Wilber has her Masters of Education in Curriculum and Instruction and holds her State Certification in Elementary Education, K-8 with an Early Childhood Endorsement and a full Structured English Immersion, K-12 Endorsement. She is also a Spalding Certified Teacher Instructor level III and is a member of Spalding Educational International’s Curriculum and Development Committee. Her undergraduate degree is a Bachelor of Science in Business Management. 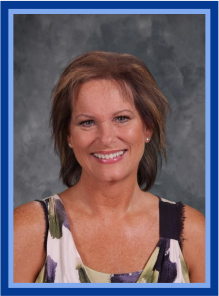 Prior to becoming the Principal, she was the Assistant Principal for three years, and prior to that, she was a classroom teacher here at Valley Academy for over eight years. 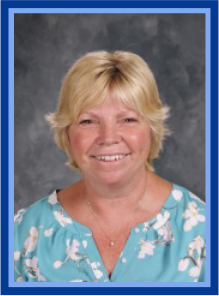 During her years of employment, she has earned many certifications including being certified as a Structured English Immersion Trainer, Spalding Certified Coach, and Spalding Certified Teacher. Mrs. Wilber has also been a parent at Valley Academy and is proud that her daughter attended Valley Academy starting in the first grade and graduated the eighth grade in 2006. Ms. Heidi M. Mitchell, M. Ed. Ms. Mitchell holds a Masters of Education Administration and Supervision and a Certificate of Focus in Business from Arizona State University’s Leadership for Educational Entrepreneurs program. Her undergraduate degree is a Bachelor of Science in Business Management. 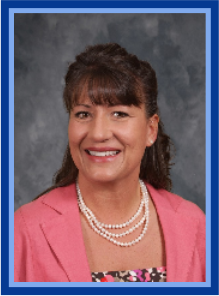 Ms. Mitchell has many years of experience in the charter school industry, both through her service on the Valley Academy Governing Board from 1996 – 2002 and with the National Charter School Clearinghouse. She is an active member of the Arizona Charter Schools Association and currently serves on the Association’s Advisory Board. She has written over $2 million in successful grants. Ms. Mitchell has significant experience in finance, management, real estate, public relations and marketing. Ms. Mitchell’s children attended Valley Academy, beginning with the school’s inception in 1995. Mrs. Peggy Browne, M. Ed. Mrs. Browne has earned a Masters of Educational Leadership from Northern Arizona University. She holds her certification in Elementary Education, K-8 with an Early Childhood Endorsement and a Structured English Immersion Endorsement. Mrs. Browne has her Principal Certification with the State of Arizona, which she also earned at Northern Arizona University. She received her undergraduate degree in Elementary Education from Arizona State University. Prior to coming to Valley Academy, she taught in the Peoria Unified School District for eleven years. She is a Certified Spalding Teacher. Mrs. Browne is also a proud grandparent of three wonderful Valley Academy students.